Looking to turn your world upside down? 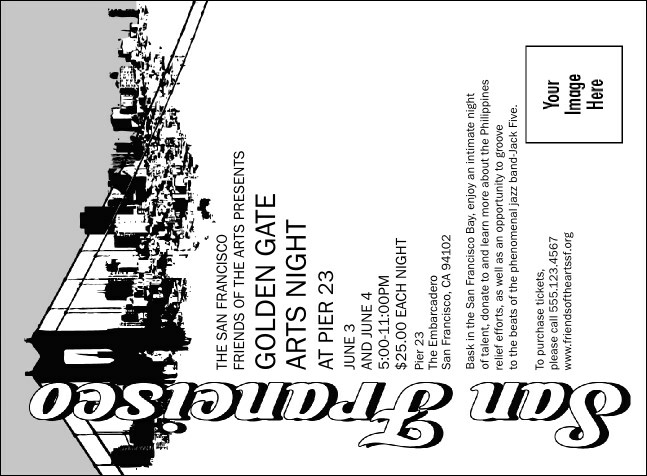 This funky black and white San Francisco Invitation provides a taste of the mind bending alternate reality of The City. With silhouettes of bridges and cityscapes on the top and the bottom of the invitation and room for all your details, it's an easy way to inspire your patrons to meet you in San Francisco. Looking for local? TicketPrinting.com offers Event Kits for your city.